Colin Marshall › Korea Blog: Is Simon Winchester’s “Korea” a Classic Travelogue or Cultural Offense? “This book has a precious little to recommend for itself. It reads more like a white man’s fantasy.” “The vaguely creepy paternalistic narration was extremely off-putting.” “I found his voice to be a little bit too ‘male.’” “It would have been a good book if he had left his commentary out of it.” “I have to say I was pretty offended at times.” All these judgments come from the Goodreads user reviews of Simon Winchester’s Korea: a Walk Through the Land of Miracles, a book published well before the era of free-for-all internet commentary. 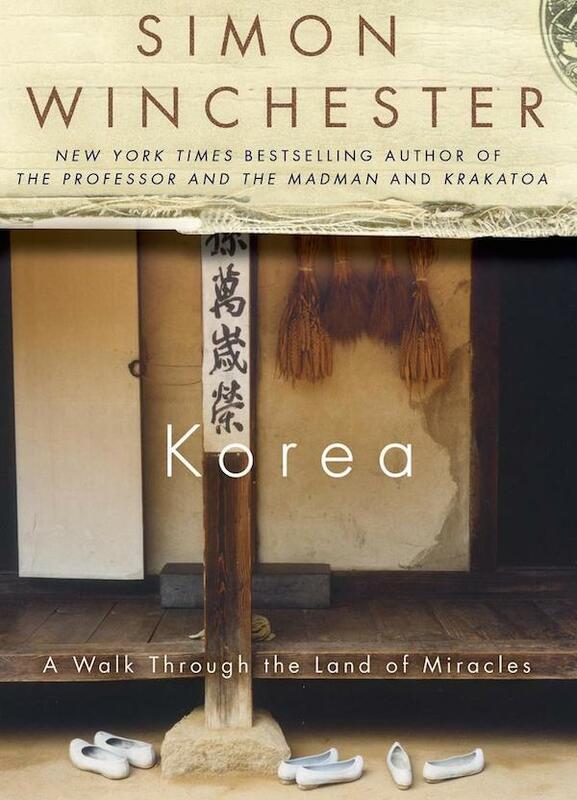 It didn’t, however, come out as long ago as the complaints quoted here might make you imagine: 30 years have passed, and in that time has Winchester’s view of Korea, as well as the Korea he viewed, grown hopelessly outdated? Whatever the answer to that question, the book has held its place on the very short list of essential long-form travelogues of modern Korea. In fact, it nearly constitutes that list by itself, the other possible candidates having fallen quickly out of print and into obscurity after the small burst of interest in the run-up to the 1988 Summer Olympics in Seoul. Winchester, too, wrote his book with the Games in mind, wanting to see as much as possible of the country that had charmed him as a Hong Kong-based Asia correspondent before it opened itself more fully to the wider world. As much as Korea has changed since then — not least due to its late-1980s conversion to “near-beer democracy,” as he calls it, so painstakingly scrutinized by many of those other forgotten volumes — something about Winchester’s take on it has endured. “With all the enthusiasm of a naif,” Winchester remembers in the introduction, “I planned a book that would present a series of ruminations about the Korean people, who are quite unsullied by the evils of money making, are uninterested in the mechanics of power seeking, and had long forgotten the miseries of battle. I would, I vowed, go straight for the kokoro, the often-ignored, rarely understood heart of modern Korea.” Two things stand out here: first, that few would now (or even them) call the Korean people “unsullied by the evils of money making,” and second, that kokoro is the Japanese word for heart, not the Korean one. He does explain his use of the term toward the end of the book, but too late to steady the shaken confidence of a reader familiar with east Asian languages. This was written by Colin Marshall. Posted on Tuesday, February 20, 2018, at 9:27 am. Filed under books, Korea Blog. Bookmark the permalink. Follow comments here with the RSS feed. Comments are closed, but you can leave a trackback.